Miscellany: on a wet Thursday in April !! This post brings together a number of items of general legal interest. The Guardian's "interactive" about the "History of the Supreme Court" is very good and contains links to some very useful material. The Supreme Court of the United Kingdom is a creature of the Constitutional Reform Act 2005 and held first sitting in October 2009. 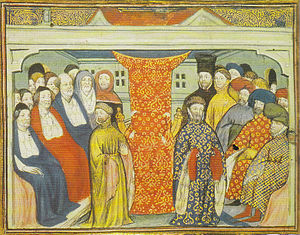 Prior to that, the highest appeal court in the UK was the Appellate Committee of the House of Lords with its judges the Lords of Appeal in Ordinary. The House of Lords delivered its last judgment on 30th July 2009. Did Minister act unlawfully in relation to bid for BSkyB ? The Leveson Inquiry continues to fascinate. 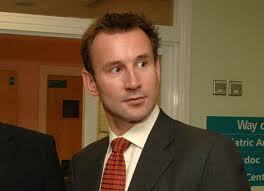 On Tuesday 24th April, the Inquiry published e-mails (Exhibit KRM18) between persons acting for News Corporation and the office of Jeremy Hunt (Culture Secretary) - see The Guardian 25th April - " Jeremy Hunt emails: a legal view." Writing on Head of Legal blog, the former government lawyer Carl Gardner claims that Mr Hunt acted unlawfully in his handling of the News Corporation bid for BSkyB - Head of Legal blog - "Hunt's handling of the News Corporation-BSkyB deal was unlawful." The alleged unlawfulness arises here because of the administrative law relating to appearance of bias. Decision-makers must be free not only of actual bias but there must be no appearance of bias. Here, administrative law is concerned to ensure that decision-making processes are fair and seen to be fair. Public Nuisance (also known as Common Nuisance) is an offence under common law and it is triable either-way - that is, either summary trial by Magistrates or upon indictment in the Crown Court where there would be a judge and a jury. Public Nuisance and Private Nuisance are also civil wrongs (torts). This is not considered further here. A person is guilty of a public nuisance who (a) does an act not warranted by law, or (b) omits to discharge a legal duty, if the effect of the act or omission is to endanger the life, health, property or comfort of the public, or to obstruct the public in the exercise or enjoyment of rights common to all Her Majesty’s subjects. In March 2004, a baby girl (T-L) was found dead in her parent's bed. Some weeks before her death she had suffered 17 fractures to her ribs. There was also other bruising. The official cause of death was asphyxia by obstruction of her airways. T-L's parents were SW (father) and JJ (mother). 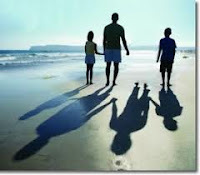 In August 2005, they had another child (S) and care proceedings were commenced in which the judge made certain findings of fact and also concluded that the injuries to T-L could have been inflicted by either parent (though he could not say which) or perhaps by both parents. In 2006, a care order was made for S who was then placed for adoption. In 2007, JJ and SW separated with JJ moving to another part of the country. In 2008, JJ met a man (DJ) who had 2 children (H and T) from a previous relationship. DJ had sole care of H and T and JJ moved into his home. In the autumn of 2008, JJ became pregnant and a child (I) was born in July 2009. It transpired (from DNA testing) that I's father was actually SW. However, child (I) came to live with DJ, JJ, H and T.
DJ and JJ subsequently married and a further child (R) was born in December 2011. The Preamble notes that the European Court of Human Rights has made an extraordinary contribution to the protection of human rights in Europe for over 50 years. The declaration reaffirms commitment to the Convention and the right of individual petition to the Court. The word "subsidiarity" - pressed for by the UK - appears in para. 3 of the Preamble - " The States Parties and the Court share responsibility for realising the effective implementation of the Convention, underpinned by the fundamental principle of subsidiarity and points out that the court acts as a safeguard for violations that have not been remedied at a national level. Finally, the preamble notes the efficiency improvements made at the court under Protocol 14 and, in particular, to address the number of inadmissible applications but, further measures are needed to ensure that the Convention system remains effective and can continue to protect the rights and freedoms of over 800 million people in Europe. 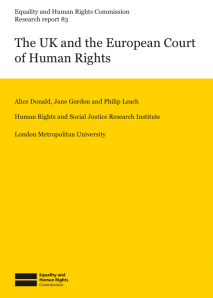 The Equality and Human Rights Commission has published a report - "The UK and the European Court of Human Rights" - which, quite frankly, debunks many of the myths about the European Court of Human Rights and its relationship with the UK. At a time when the role of the court has been under attack by certain politicians and media in the UK, this is a useful and timely report though its publication is likely to be overshadowed by publication of the Brighton Declaration. One of the researchers contributing to the report was Alice Donald (Senior Research Fellow at the Human Rights and Social Justice Research Institute, London Metropolitian University) and her post on UK Human Rights blog offers an excellent summary of the report and is definitely well worth reading. See also the Commission's Human Rights Review 2012 and also the Commission's webpages on Human Rights. See also Foreign and Commonwealth Office (FCO) - "Conference on the future of the European Court of Human Rights" - 18th April. Dealings with the Council of Europe are the responsibility of the FCO. The Telegraph has published a video of Lord Bracadale sentencing David Gilroy for the murder of Suzanne Pilley. 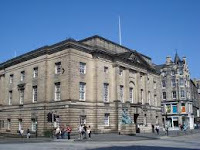 Television cameras were allowed into the High Court in Edinburgh to record the sentencing of Suzanne Pilley's murderer (David Gilroy). This was the first time in the United Kingdom that a judge passing a sentence for murder was filmed for television. David Gilroy lost his temper and murdered Suzanne Pilley in a sustained attack and thereafter disposed of her body with "chilling calmness and calculation." The body has not been found and Gilroy is the only person to know where it is. Scotland's legal system is distinct from that of other parts of the UK - i.e. England/Wales and Northern Ireland. Information about Scotland's judiciary may be seen via their website. The sentencing remarks are also published on that website - Her Majesty's Advocate v David Gilroy. Article - Legal Week 19th April - "On camera - what impact will televised court proceedings have on justice?" In all litigation, lawyers need to pay particular attention to time-limits. They exist for good reason since without them there might be no finality. This truism has arisen in the Abu Qatada case. He has never been charged with any offence in the UK but British authorities have previously said he gave advice to those who aimed "to engage in terrorist attacks, including suicide bombings." 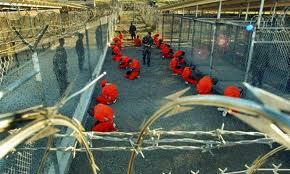 Jordan wishes to try him for plotting bomb attacks during the country's millennium celebrations." The British government cannot wait to deport him. 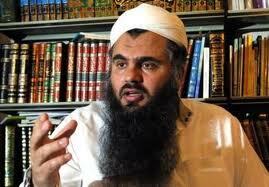 On Tuesday 17th April, Abu Qatada was arrested with a view to his deportation to Jordan - The Guardian 17th April. On 17th January 2012, the European Court of Human Rights 4th Section gave judgment in Othman (abu Qatada) v UK . For discussion of the case see the earlier post on this blog "Theresa May's trip to Jordan." Update 28th April - Richard Foster, the Chairman of the Criminal Cases Review Commission wrote in the Law Society Gazette of 26th April that criticism of the CCRC in the Law Society Gazette article of 13th April was grossly unfair. 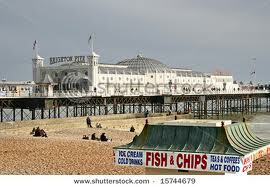 Human Rights - the 'chips' are down: The Brighton Conference is to be held from Wednesday 18th April to Friday 20th April. The programme is here and regrettably reveals nothing of what is actually to be discussed though it states that the delegates will have Fish and Chips at Brighton Pier. See earlier post "UK seeks to minimise the influence of Strasbourg" which considered the Draft Declaration on the future of the European Court of Human Rights. (The draft was leaked and published by The Guardian). On 13th April, a statement was issued by 11 Non-governmental organisations calling for the Brighton Declaration to strengthen human rights protection in Europe and to preserve the integrity and authority of the European Court of Human Rights. 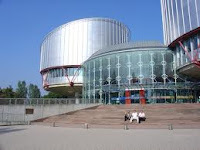 For a view that the European Court of Human Rights may now be adopting an approach which is more deferential to governments see UK Human Rights Blog - post by Professor Helen Fenwick. 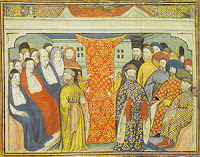 Wales: A consultation is afoot about Wales becoming a separate legal system from that of England. Since 1999, there has been an increasing divergence between the law in Wales and the law in England — particularly in devolved areas such as education, health and social care. The consultation closes on 19th June and may be seen via the Welsh Government website. The Legal Aid, Sentencing and Punishment of Offenders Bill (LASPO) has returned to the House of Commons. The most controversial aspect of this Bill relates to the government's plans to axe civil legal aid in many areas. As the Bill went through the Lords, amendments to the Bill were secured with the support of peers with considerable experience of the legal system. The amendments are in vital areas such as for children under aged 18, domestic violence cases and certain clinical negligence matters. The reality remains that the government has secured the vast majority of its aims for legal aid and the Lords amendments, which do not entail massive costs, should now be accepted by government as important improvements to the Bill. If you agree, please E Mail your MP - via Justice for All. - to ask your MP to try to prevent the Commons reversing the amendments. It would be shameful if they do. The few moments you spend doing this might just make an enormous difference for the better in someone's life. Update - Monday 16th April - Law Society Gazette - "Ministers target child legal aid in fightback against bill amendments" - In relation to legal aid, The only amendments not opposed by the government are changes to ensure the independence of the director of legal aid casework; the retention of legal aid for welfare benefit appeals to the Upper Tribunal, the Court of Appeal and the Supreme Court, and the widened definition of domestic violence. However, the government does not accept the Lords’ amendment to broaden the evidential criteria required to demonstrate domestic violence." 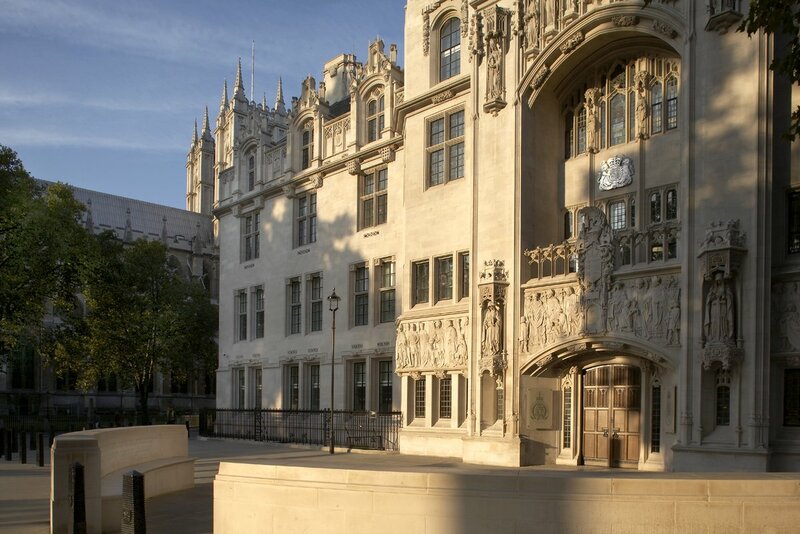 On 10th April, the European Court of Human Rights (Fourth Section) - (the court) - sitting as a Chamber delivered judgment in the case of six men who are facing extradition from the United Kingdom to the United States of America - see the JUDGMENT. The men are: Babar Ahmed (1st applicant); Haroon Aswat (2nd applicant); Syed Ahsan (3rd); Mustafa Kamal Mustafa (known more commonly as Abu Hamza) (4th); Adel Bary (5th); Khaled Al-Fawwaz (6th). In the United Kingdom, because of almost invariably adverse mainstream media coverage, Abu Hamza is the most well-known of the six. The applicants made two complaints - first that conditions at ADX Florence (which could be made worse by "special administrative measures") would violate Article 3 and, secondly, if convicted they would face sentences of life imprisonment without parole and/or extremely long sentences of determinate length in violation of Article 3. 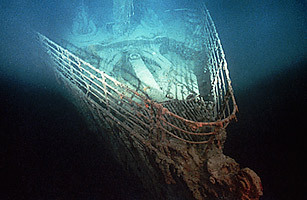 "In a solitude of the sea Deep from human vanity, And the Pride of Life that planned her, stilly couches she" - Thomas Hardy "The Convergence of the Twain"
The poignant story of RMS Titanic is perhaps the most famous of all nautical tragedies. She was built at Harland and Woolf, Belfast and was launched on 31st May 1911. Sea trials lasting around 12 hours took place on 2nd April 1912 and Titanic then sailed to Southampton. On this voyage she was captained by Captain Charles Alfred Bartlett. She left Southampton on 10th April under the command of Captain Edward John Smith and called at Cherbourg (France) and Queenstown (Ireland - now known as Cobh). At 23.40 hrs (Ship's time) on Sunday evening 14th April 1912, she struck an iceberg and sank in under 3 hours with the loss of over 1500 lives. The government's "Justice and Security" Green Paper has come in for serious criticism by the Joint Human Rights Committee - see their report. The Committee concludes that the Government has failed to make the case for extending "closed material procedures" to all civil proceedings and to inquests: the Government has not demonstrated by reference to evidence that the fairness concern on which it relies to justify the proposal is in fact a real and practical problem. Writing in The Guardian, Joshua Rozenberg comments that - "Parliament's joint committee on human rights (JCHR) has produced a unanimous report on the government's justice and security green paper that is as precise and persuasive as the green paper itself is unfocussed and unconvincing." The Guardian 4th April - "Damning verdict on ill-thought-out secret justice proposals." Earlier Law and Lawyers posts on the Justice and Security Green Paper are - Government's Case; Proposals and Consultation and Oversight.